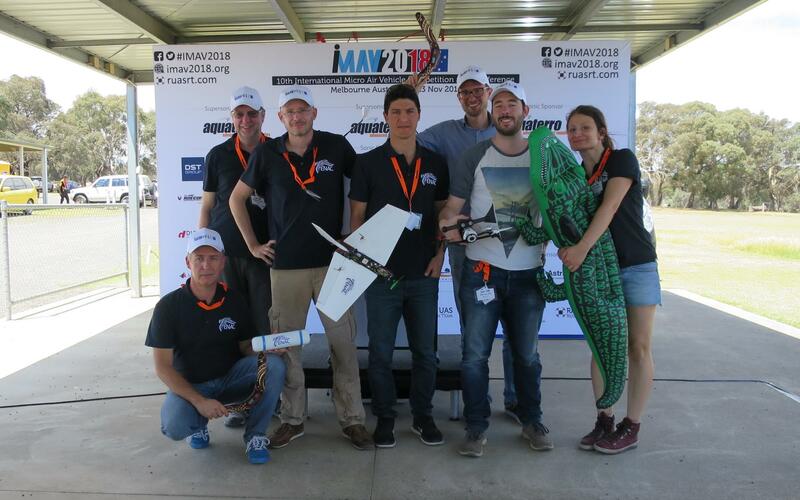 Enac UAV team and TUDelft MAVLAB team took part to the IMAV2018 conference and competition in Australia with great success! 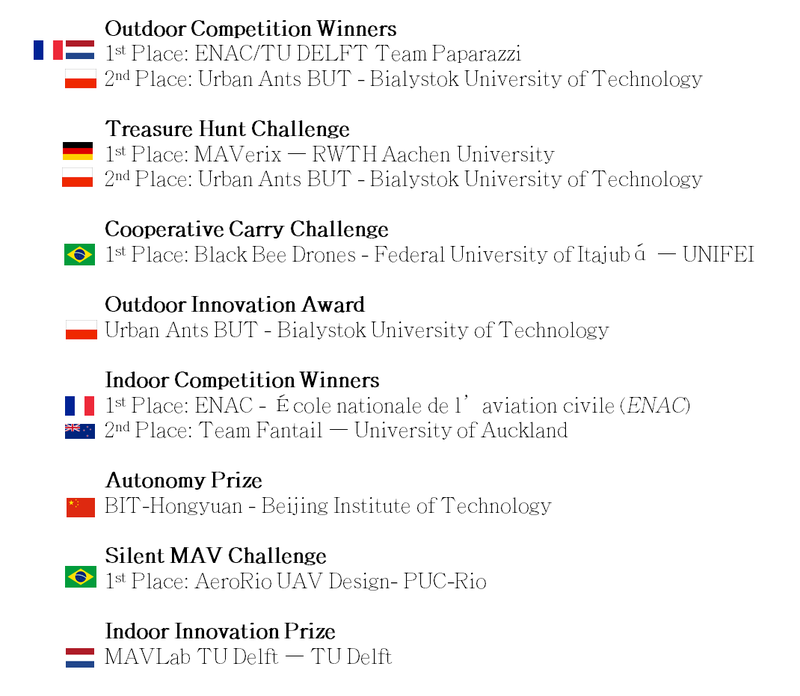 For the first time, the two academic lead developers of the Paparazzi UAV system join efforts to participate to the Outdoor competition and won this event far ahead. Several tasks have been completed, including a mapping (performed using OpenDroneMap) of the flight area with automatic detection of hazards hidden in the field (with a light fixed wing aircraft) and an autonomous obstacles avoidance navigation near trees (with Bebop2 + SlamDunk from Parrot). During the Indoor event, Enac and TUDelft were competing. 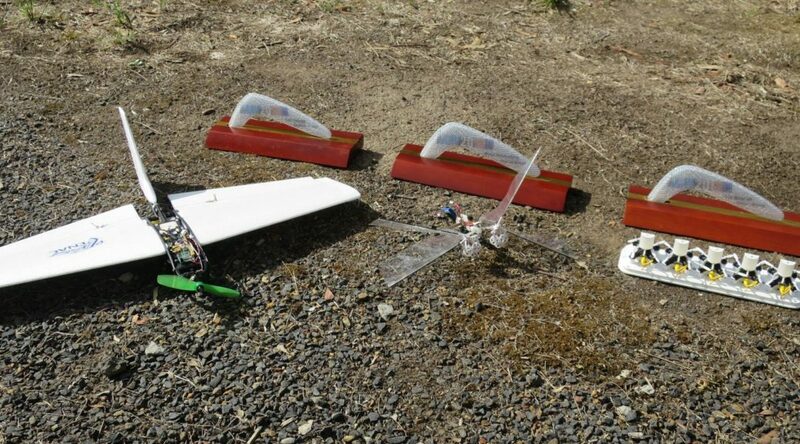 And if Enac finally won the competition regarding to the score with ultra light modified CX10 quadcopters, TUDelft made an outstanding demonstration of the Delfly Nimble. This small flapping wing UAV has an amazing agility and autonomous vision-based navigation, recognized with the Indoor Innovation prize. 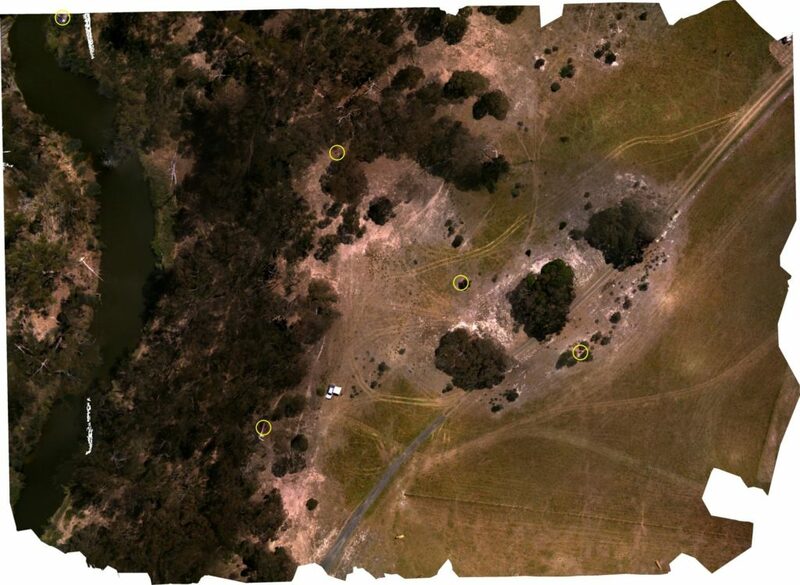 The conference papers can be found here: http://www.imavs.org/imav2018-proceedings/, including several papers presented by Enac and TUDelft teams. Thanks to everyone and see you next year in Spain !